Premier volume d'une trilogie hommage à celle des Trois Mousquetaires, les romans suivants étant Five Hundred Years After et The Viscount of Adrilankha. Il s'agit d'un roman de science-fiction/fantasy, situé dans un monde imaginaire avec une société complexe, de type "ancien régime", avec de nombreux clans/castes. Un monde ou l'on vit de nombreuses centaines d'années, où la magie est pratiquée, où il n'y a aucune barrière entre hommes et femmes, notamment en ce qui concerne la guerre et les duels (innombrables). - Khaavren/d'Artagnan: jeune noble ruiné en quête de carrière militaire. Vaillant et astucieux. - Aerich/Athos: secrètement l'héritier d'une grande famille, il cherche à venger son père jadis victime d'une trahison. Sage, intransigeant sur les principes. - Pel/Aramis: dissimulant lui aussi sa véritable identité, s'intéresse de près aux intrigues de la Cour. A la fin du livre, il quitte les gardes pour s'initier au rôle de "Discrétion", sorte de conscience/confesseur de l'Empereur. - Tazendra/Porthos: Porthos au féminin, toujours à la recherche de batailles et de duels, combattante redoutable, simple et directe, d'une intelligence limitée, mais la meilleure amie du monde. Cette "adaptation" de Porthos est une vraie réussite. - partis à la recherche d'une fugitive, les gardes sont tellement embrouillés par les intrigues diverses au coeur desquelles se trouve cette dernière qu'ils ne savent absolument pas s'ils devront l'arrêter ou la protéger quand ils l'auront trouvée. D'où leur décision: "trouvons-la d'abord, et quand nous l'aurons trouvée, nous réfléchirons..." (et quand ils la trouvent, scène de confusion maximale!).  Ce récit très amusant, écrit dans une langue vieillotte, constituant une étonnante adaptation de "l'esprit Dumas" dans un cadre de fantasy. Steven Brust fournit dans sa postface quelques explications sur son admiration pour Dumas. Voir également l'interview qu'il nous a accordée. 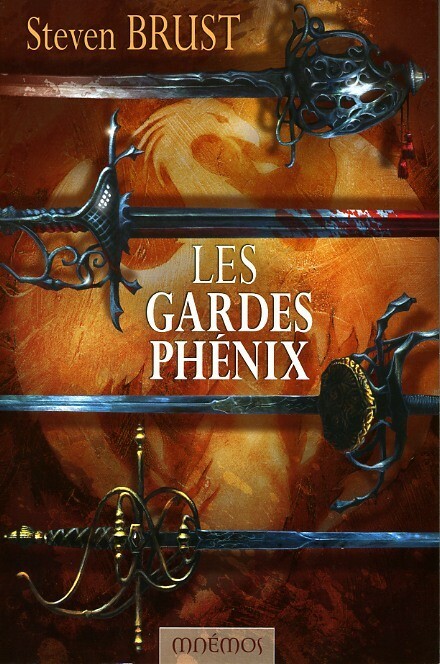 Le roman a été publié en français en septembre 2007, dans une traduction de Benoît Berthézène, par les Editions Mnémos sour le titre Les Gardes Phénix. Voir le site Internet créé à cette occasion par l'éditeur français sur l'univers de Brust. 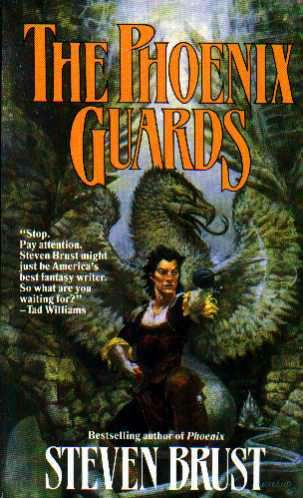 At this point, Khaavren broke off his monologue, for he noticed that Mica had come up next to him, and was looking around with a melancholy expression on his normally cheerful face. "Well," said Khaavren, happy to be distracted by someone else's misery, "you are looking mournful." "It is true, my lord." "But then, have you a reason for this look? Or is it due to the rain that is soaking us to the skin and making us fear our horses will slip on this treacherous mountain path and lead us to break our necks? Do you know, we had planned to bring oiled cloaks with us, we even counted on it, but somehow we forgot to bring them. It is a sad comment on the human condition when even correct planning is of no benefit. Is it this that saddens you, good Mica? For, if so, I am in full agreement." "No, it is not that at all, my lord." "You wish me to tell you?" "Go on, then, I await you." "Well, this is it: I have been doing sums in head." "But then," said Khaavren, "I have done sums in my head, and it never makes me sad; on the contrary, it sharpens my wits, which, in turn, increases my amusement with the world, and that makes the hours go in a very pleasurable way." "I will try to follow your example, my lord." "You will be pleased with the results, Mica, I assure you." "But I have been doing more than sums, my lord', I have been making projections." "Ah, projections. Well, that is another matter entirely." "I am pleased that you think so, my lord." "Oh, I do indeed. Projections are fare more serious matters than sums." "There is, my lord, and, if you want to hear it, I shall tell you." "I should enjoy hearing it if for other reason than because the clipped tones of your accent tickle me; you speak so differently from the northern twang of the city or the lilt of my own country." "Well, my lord, it may be that the subject upon which you calculate sums is different from the subject upon which I make projections." "Well, that may be, Mica, because I had not known you were making projections on a particular subject." "I have been, my lord." "And what, then, is this famous subject?" "It is soldiers, my lord." "Exactly. Attend: were you not, before I had the honor to meet you, attacked by one man?" "Well, yes, I was, and the proof is, it was Uttrik, who now rides with us." "And then, at Beed'n's Inn, were there not twelve brigands who attacked us?" "Why, that is exactly the number, Mica." "And then, when we were leaving The Painted Sign, were we not set on by some thirty of the enemy?" "That is to say, we set on them, but your numbers are correct." 'Well, and, were there not at least a hundred of the enemy who were driven off by my lady's stratagem?" "This time, I think, you may be in error." "But at least, my lord, there were a good deal more than thirty." "Well then, it is upon this subject that I have been making projections, toward the goal of determining how many enemies will face us next time." "I see. Well, and what have you determined, Mica?" "That there will be many more of them than there are of us." "Well, I don't doubt that you are correct." "An army, my lord. I fear they will bring an army." Aerich, who had gone so far as to take in the very breath which would have exhaled the word, "Begin", stopped, and looked at Khaavren, whose eyes were now fixed upon some point out in the distance. He, Aerich, very slowly let his breath out and followed the imaginary line penciled by the intensity of Khaavren's gaze. Seeing this, Pel, Tazendra and Mica looked, then Uttrik, who stood facing the east, and, last of all, Kathana turned around and stared herself. After a few moments, Pel murmured, "Easterners, if I am not mistaken. See how they sit bent over their horses?" "Thousands of them," said Khaavren. "The invasion has begun," said Uttrik, as if he could not believe it himself. "Then," said Tazendra, "instead of having to watch one of our friends die, we shall all die together. How splendid!" "Splendid, mistress?" said Mica, amazed that she should be positively glowing with pleasure at the thought of her imminent demise. "Compared to the alternative," said Khaavren, drawing his sword, "a pleasure indeed." Pel said, "I admit that it pleases me also." "It is just the sort of thing I had been hoping for," said Aerich. "For my part," said Kathana, "I quite agree." "As do I,", said Uttrik. Mica looked at the lot of them and shook his head, then looking back at the growing line of Easterners, he said, "There is time to reach the horses and escape, if we hurry." The others stared at him. "How," said Tazendra. "And miss a battle of six against thousands? When will such a chance come again?"